Horizon Discovery Group plc, a global leader in the application of gene editing and gene modulation to deliver inspired cell solutions, announced that it has extended its biomanufacturing capabilities through an agreement with The Pirbright Institute to jointly work on a research program aimed at deploying cell engineering to increase the yields of livestock vaccines. The development of efficient and affordable vaccines against viral diseases plays an important role in meeting the rapidly growing demand in the AgBio market, where global production is persistently reduced through viral infection and where the consequences of an outbreak can be devastating. Many vaccines are produced in avian systems, both in hen’s eggs and increasingly in cultured cells, however yields are often limited by immune responses that can prevent the replication of vaccine viruses. The Pirbright Institute was first to describe a set of immune proteins in chickens, called chIFITMs, which interfere with viral replication in cells. The Institute has now received a grant from the Livestock Vaccine Innovation Fund, which is supported by the Bill & Melinda Gates Foundation, Global Affairs Canada, and Canada’s International Development Research Centre, to support the practical development of this research. 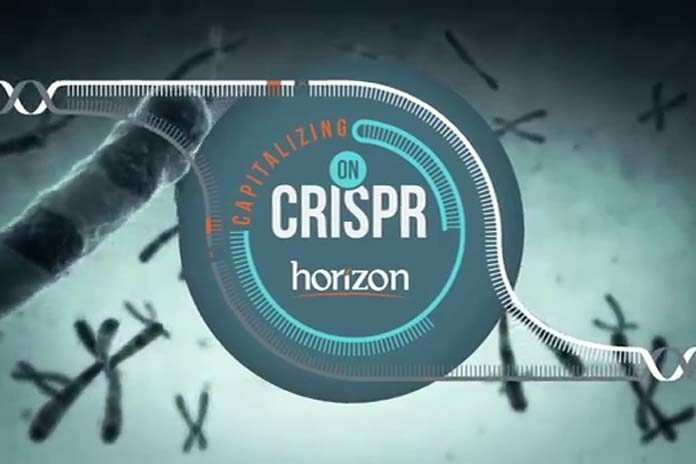 Horizon will use its expertise in CRISPR/Cas9 gene editing to remove the chIFITM genes in chicken cells, thereby overcoming one of the main barriers for viral replication with the potential to boost the levels of vaccine virus produced between five and ten-fold. Vaccines produced in avian systems represent an approximately $3.4 billion market1. A significant increase in yield may lead to a substantial decrease in manufacturing costs and pricing. The project is set to run for four years and this new technology could be commercially available by 2021.